Stretching the One Income Dollar: Other Uses For- Eggshells? Peeling an egg today,to add to my potato salad, I thought about how many times we throw things into the garbage when maybe there is a way we can make use of it, before it hits the garbage. I welcome your comments on what to do with leftover eggshells to share with myself and our readers. Crumble them up and put them in your compost pile. They are rich in nutrients and good for the garden. It's rumored that slugs don't like to cross the sharp edges, but nothing seems to faze them around here. I crush them quite fine, and sprinkle around my roses and other tender plants in the spring. If they are crushed very fine and circle the plants, our slugs do NOT cross over. I do sprinkle the circle about 6" from the base of the stem of the plant, and this is quite effective. Also, very good for roses. My roses become more fragrant and larger when they are supplemented with the eggs shells (and banana peels) during spring and summer months. 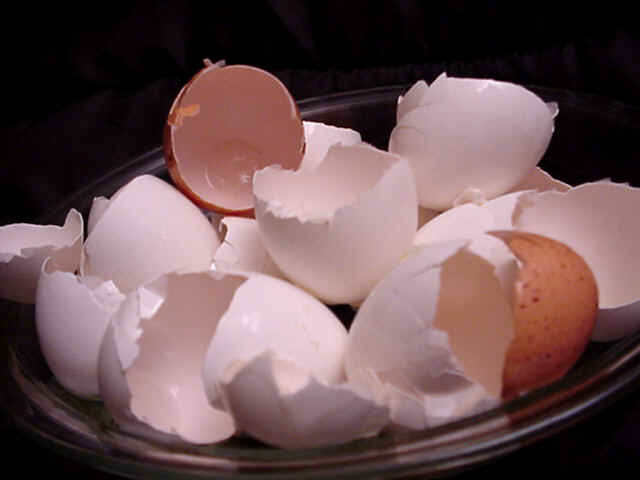 egg shells are great for your garbage disposal, actually. the sharp edges help clean the disposal and the pipes even as the disposal rids you of this biodegradable waste! My grandfather use to crushed them very fine and added to food, he claim that it was a good source of calcium...?!?! Gosh -I hate biting into an egg salad sandwich and crunching a tiny tiny shell- not sure how he did it.Brave guy!